be varied in any way by the client(s) unless such conditions are expressly agreed by the photographer in writing. By booking with the photographer you agree to the below Terms and Conditions. 1.1 Balances owed for photo shoot appointments must be paid in full before the session commences. Please note that all session fees are non refundable. Payment for all extra items ordered must be made at the time of ordering. Prices for prints, digital images, mounts and framing options are available upon request. If paying the full balance owed or additional products by cheque prints and products will not be made available until the cheque has cleared! 2.1 All charges and additional goods specified on the booking form are supplied at the prices ruling on the date of booking. Goods not specified on the booking form are supplied at the prices ruling at the time of receipt of the order. 3.1 Photographs taken during the course of the session/event will be at the discretion of the photographer although every effort will be made to comply with the clients requirements. 3.2 The photographer shall be granted artistic license in relation to the poses photographed and the locations used. The photographer’s judgement regarding these matters shall be deemed correct. 3.3 When attending events the photographer shall endeavour to photograph all individuals as requested by the client(s) at some point, but no responsibility will be taken by the photographer on the occasion of leaving somebody out. view should this be the case. 3.5 On location or events due to a variety of uncontrolled lighting conditions and the limitations of digital sensors, some colours may alter throughout a set of photographs. 3.6 Although all equipment is checked regularly and reasonable steps are taken to ensure backup equipment is available, the photographer will not be responsible for photographs that are not produced due to technical failure. 4. Prints, reprints and enlargements. 4.1 We offer a vast array of print and enlargements sizes all with different aspect ratio’s. However on some of the enlargements sizes we offer image cropping may/will occur. Please ask advice before ordering enlargements. 5.1 The post & packing charges are as listed on the website at the time of booking. 6.1 Once Upon a Time Photography shall be granted creative and artistic licence in relation to the choice of locations and poses used. Once Upon a Time Photography’s judgement on photographic style and the number of photographs taken shall be deemed correct. specific background, location or group arrangement. therefore have no rights to reproduce the image in or on any medium. You may not copy the photographs taken under this contract, or allow copies to be made photographically, electronically, or by any other means. This is a standard condition for professional photographers. Liability and Professional Indemnity Insurance. then Once Upon A Time Photography retains the booking fee paid and is not obliged to reschedule the session. 11.1 Should the cancelled appointment turn out to be a postponement, then, subject to Once Upon a Time Photography’s availability, all monies paid may be applied to the new appointment. In this case, the total fees chargeable shall be the fee which applies at that time. In the event that Once Upon a Time Photography take another appointment for your cancelled or postponed date, a full unconditional refund of your deposit and monies paid shall be made. If, following cancellation by the client, a new date cannot be agreed by both parties, the full booking fee will be retained by Once Upon a Time Photography. 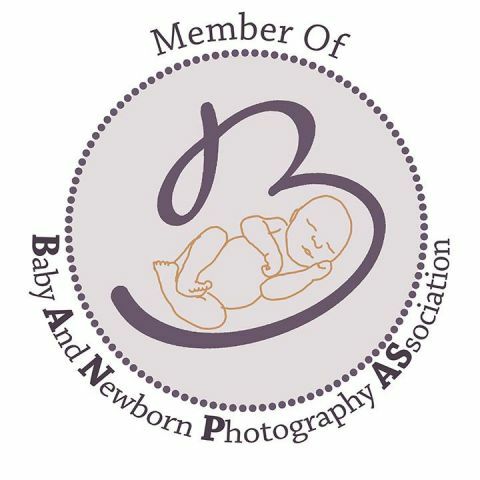 12.1 If the appointment has to be cancelled by Once Upon a Time Photography due to adverse weather conditions a new, mutually agreed appointment will be made. However, if the Client would like a Booking Fee refund, this may be granted. 13.1 Any directions issued to clients, their guests or employees during a photographic shoot/event are deemed to be at said persons own risk. The photographer cannot be held responsible for any personal accidents during a photographic shoot. 14.1 Please address any complaints to Once Upon a Time Photography by email or writing as per our contact details. We will endeavour to respond to any complaint within 5 working days of receipt. Terms & Conditions @ Once Upon A Time Photography.